The date has been set for the US-friendly poker site PokerHost to leave the Merge Gaming Network and migrate its players onto the Equity Poker Network. Rumors that PokerHost was leaving the Merge Gaming Network to join the Equity Poker Network were confirmed last night when an email was distributed to PokerHost players advising them of when and how the move would take place. According to the email from PokerHost, the exchange of platforms will commence at 00:00 (Eastern Time) on Tuesday 8th April with all operations shutting down immediately, and players who are involved in cash games or poker tournaments being logged out from the PokerHost client. The PokerHost client will be unavailable until the migration of players to the Equity Poker network is completed – a task which is estimated to take about three hours – after which time PokerHost players will be able to play on the fastest-growing US-friendly network. 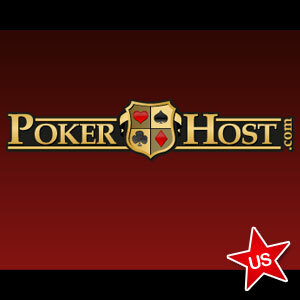 The email fails to explain why PokerHost is moving platforms, but it has been well chronicled that the site has been gradually ostracized by the Merge Gaming Network for reasons such as maintaining its own cashier and continuing to accept players from New Jersey when the rest of the skins on the Merge Gaming Network pulled out of the Garden State. PokerHost has always maintained its players´ funds in its own cashier – rather than using Merge´s Jazette cashier – and this will help simplify the migration of players next week so that there will be no issues about players´ real money balances. PokerHost says it will maintain the same deposit and withdrawal options as previously, with the same fees attached. The site has also advised players that any loyalty points that have been earned – or any partially cleared bonuses that are outstanding – will be automatically converted to cash once the migration to the Equity Poker Network is complete, and thereafter players will be rewarded for their contribution to the rake deducted from cash game pots under the new network´s guidelines. This may affect PokerHost´s high volume players as the Equity Poker Network has a “flat-level” points-for-rewards VIP Rewards Program which differs from the three-level VIP Rewards Program currently being offered by PokerHost. However, as the Equity Poker Network is still relatively young, and constantly evolving, this situation is anticipated to be temporary. 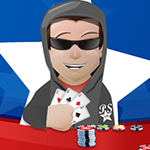 The Equity Poker Network has a one-skin policy which states that players are not allowed to have an account at more than one site on the network, and this may cause an issue if players have already established accounts with online poker sites such as Full Flush Poker, Integer Poker or 5 Dimes Poker. The likely outcome is that balances from PokerHost and any other skin that a player is registered with will be merged and only one account carried forward. With Full Flush Poker having recently launched site-exclusive poker tournaments (with potential overlays) and offering players reload bonuses throughout April, it is likely that most players will opt for the network´s flagship site rather than staying with the less-incentivized PokerHost should a conflict occur. PokerHost players can find out what to expect when the site joins the Equity Poker Network by reading our Full Flush Poker Review.